The BIGPIC6 PROTO Board is a high quality PCB prototype board. It solves your prototype problems by offering a complete, cost-effective solution. 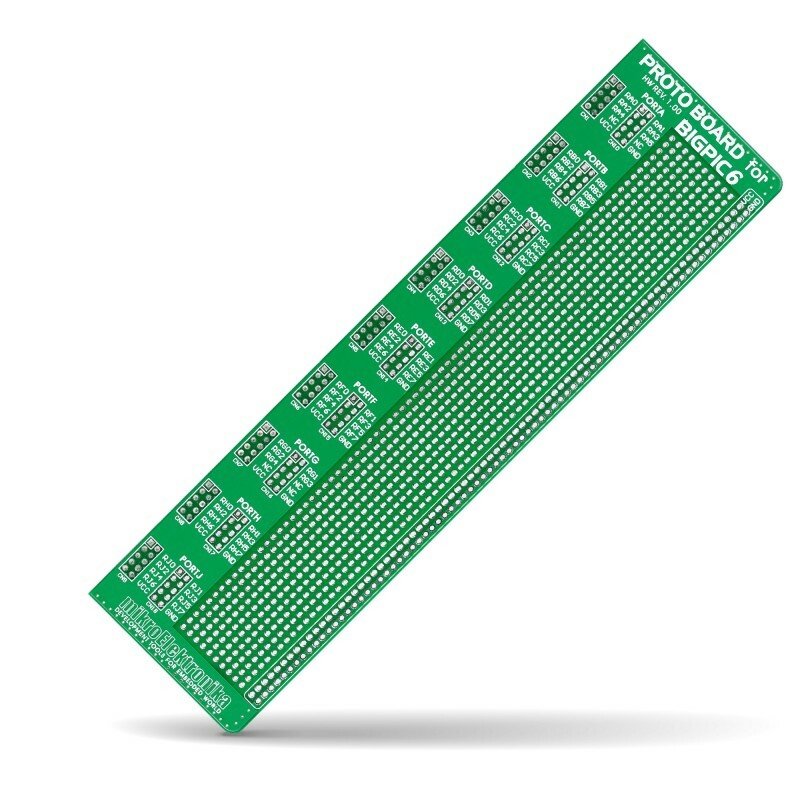 Connect your BIGPIC6 development board to this board via an IDC10 connector. The BIGPIC6 development system can be connected to the BIGPIC6 PROTO Board via IDC10 connector. High-quality PCB prototype boardwith clearly marked pins allows easy board usage. 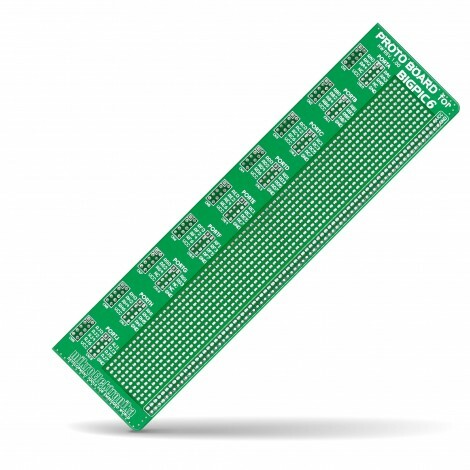 BIGPIC6 PROTO Board solves your prototyping problems by offering a complete and cost-effective solution.